Everyone knows it’s important to drink water. That’s because our bodies are 60% water. Water is important in every bodily function, and every cell, tissue, and organ needs water to work properly. Without enough water our bodies start to get dehydrated, which leads to feeling thirsty and tired, cramping, headache or dizziness and even heat stroke. If water is important for daily life, it’s even more important when you’re out on the golf course. Staying hydrated keeps your body at optimum levels of performance. We’re lucky at High Meadows Golf & Country Club to be at a high elevation where our temperatures aren’t as hot as other parts of the state of North Carolina. But even so, we are in the South, and summers can be hot and humid. 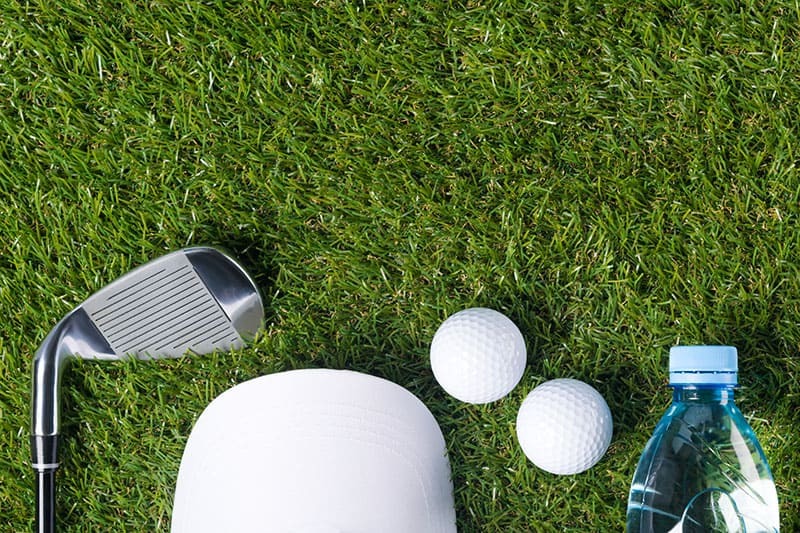 After playing a round of golf in the months of July and August you might feel like you’ve taken a dip in the swimming pool, if your clothes are drenched with sweat. Drinking water is the best way to replenish the fluids lost while sweating on the golf course. It’s also important to prepare for the time out on the course by staying hydrated before your game. For years we’ve heard that it’s important to drink eight glasses of water a day. That’s not necessarily a magic number. Some people might not need quite as much, others might need more. While eight glasses a day is easy to remember, the important thing is just to make sure you’re drinking plenty of water. Staying hydrated every day keeps your body in optimum shape for when you’re out in the sun on the golf course. Keep a bottle of water with you in your cart, or if you’re walking, in your bag. Make use of the water coolers provided on the High Meadows golf course. When you’re at the clubhouse between the front nine and the back nine you can stock up on beverages. Water or sports drinks are recommended, and we have a wide variety to choose from. Just remember sports drinks have added sugar. It’s advisable to stay away from alcoholic beverages when you’re exercising, as the alcohol promotes hydration. Save our choice of beers and wines for the evening when you’re celebrating your great game.